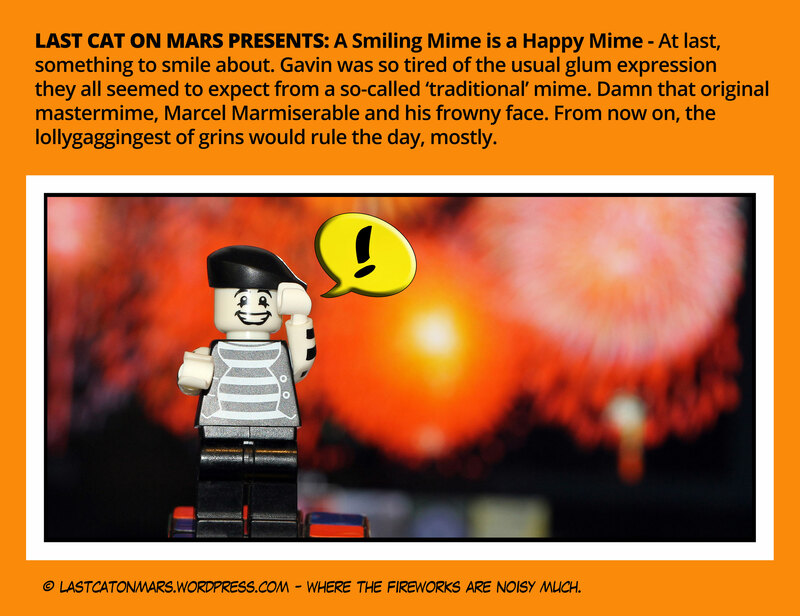 This entry was posted in Variety Show and tagged cartoon, comic, fireworks, lego, Marcel, mime, minifigure, smiling on July 29, 2015 by Jay Verney. 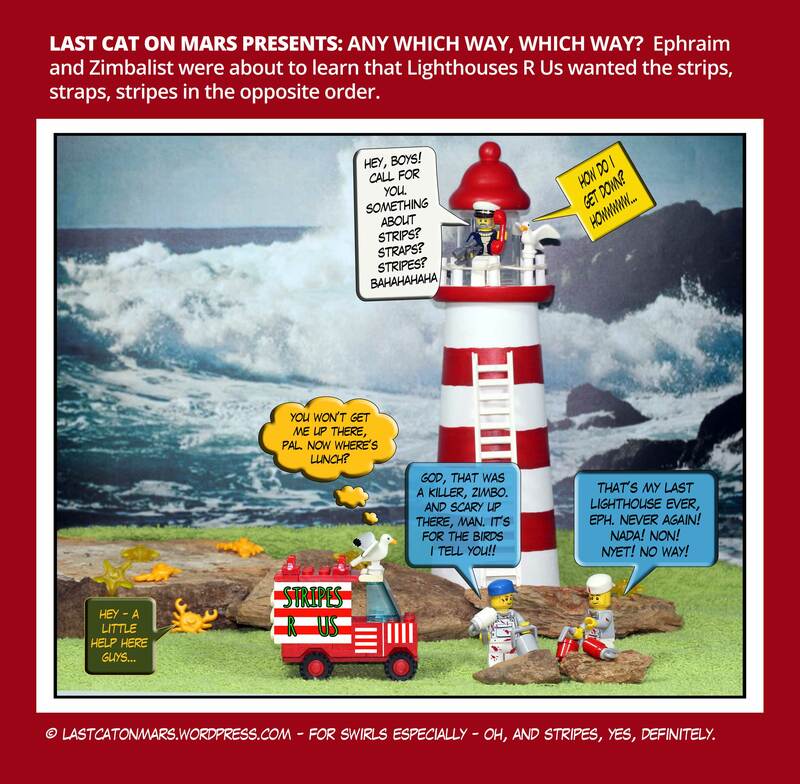 Last Cat On Mars Presents: Any Which Way, Which Way? This entry was posted in Industrial, Variety Show and tagged cartoon, comic, lego, lighthouse, minifigures, ocean, painters, seagulls on July 22, 2015 by Jay Verney. 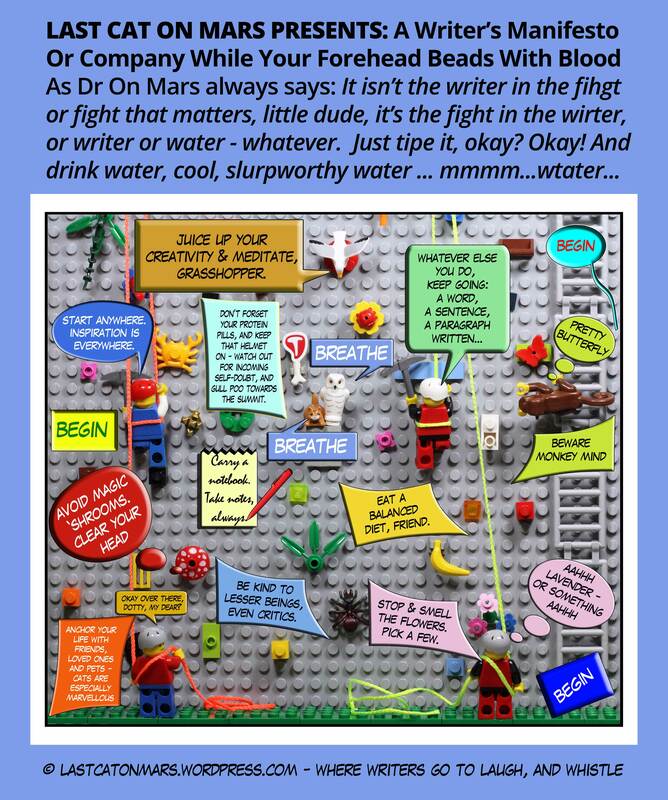 This entry was posted in Special Occasions, Variety Show and tagged cartoon, comic, inspiration, kitten, lego, manifesto, minifigures, monkey, number 100, owl, writer's manifesto, writers on July 15, 2015 by Jay Verney. 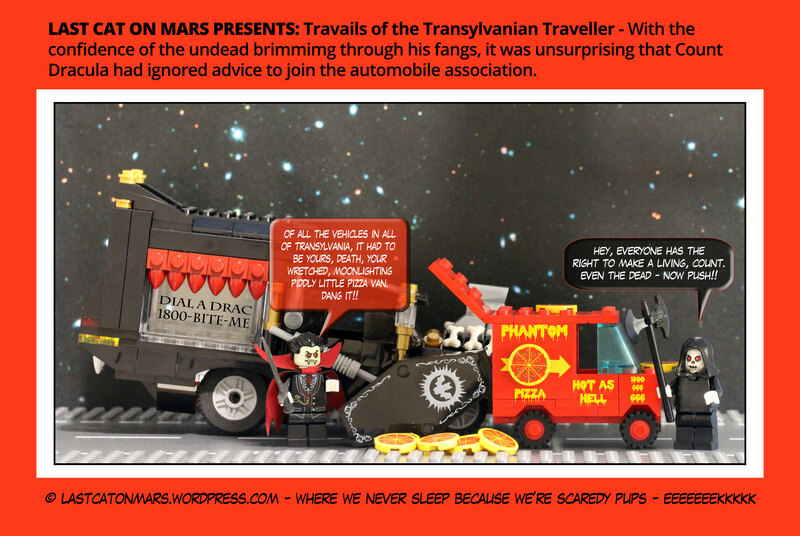 This entry was posted in Variety Show, Zombies and Such and tagged automobiles, cartoon, coffin, comic, death, Dracula, hearse, lego, minifigures, pizza van on July 8, 2015 by Jay Verney. 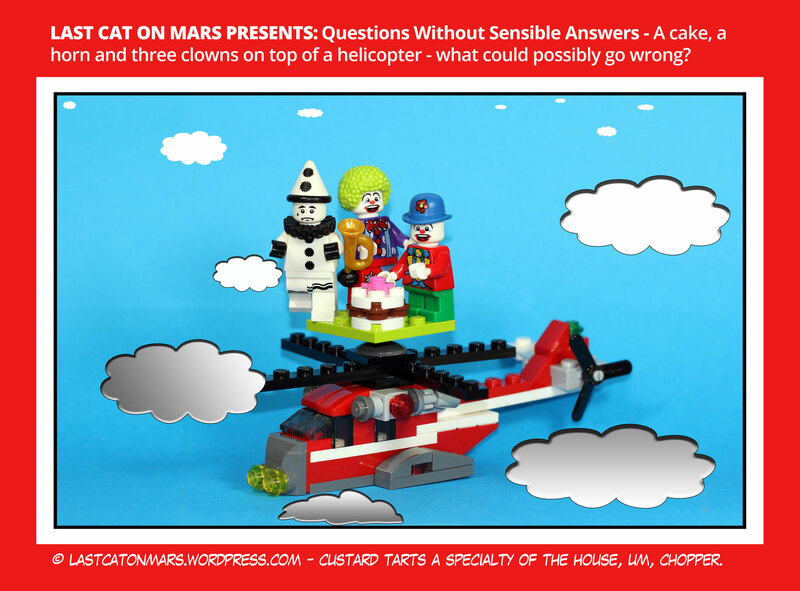 This entry was posted in Variety Show and tagged cake, cartoon, clowns, comic, helicopter, horn, lego, minifigures on July 1, 2015 by Jay Verney.